Upgrade Your Alarm System. Break-Ins Happen. Protecting what you have worked so hard to build is a top priority. Homes and businesses on Long Island are at risk for break-ins and burglaries, which happen every day. Installing a quality home alarm system or business security system is the most effective way to protect your loved ones and properties. Total Security offers professional design and installation of burglar alarm systems for residential and commercial properties in Suffolk County and Nassau County. Call (516) 775-2304 today or contact us online to request a FREE onsite estimate. Is your Long Island home safe from intruders? When was the last time your alarm company checked your system? Installing a home alarm system with a quality burglar alarm system is one of the most important things you can do to keep your family and possessions safe. 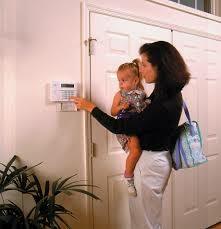 Total Security provides professional burglar alarm installations on Long Island and NYC. We provide everything you need, such as window/door contacts, motion detectors, smoke detectors, glass break sensors, shock sensors etc. Our burglar alarm company is A+ rated by the BBB and also offers wireless alarms. If you own a business in Suffolk or Nassau County, an alarm system is one of the best ways you can protect your business. A professionally installed commercial alarm system in your office, retail space, warehouse, store, institution, hospital, catering hall, apartment complex or car dealership will protect your assets and your property. According to an article by CNBC, businesses suffer an estimated $50 billion in losses every year from employee theft. As a business owner, having a robust alarm system installed is essential to both the safety of your employees and security of your business. Almost all businesses are at risk for theft from employees and visitors, but break-ins by burglars occur regularly too. The University of Florida National Retail Security Survey reports that 64% of small businesses fall victim to employee theft and that businesses are 4 times more likely to be burglarized than homes. A business alarm system from a highly acclaimed Long Island alarm company with over 10 years of experience is your solution. Total Security’s technicians are expert and certified commercial burglar alarm systems installers on Long Island, including Nassau County and Suffolk County. We provide affordable burglar alarm installations to local businesses. These security measures along with other security systems can make your business property a burglar’s worst nightmare and will also help to deter employee theft. To learn more about how Total Security can help your business contact us today! Alarm systems from Total Security can help manage any security and safety challenges for homes and businesses on Long Island and New York City. Total Security is a full-service security system company with over 10 years of experience in installing alarm burglar alarm systems. We pride ourselves on professional installations and maintenance service of security cameras, video surveillance cameras, alarm systems, and access control systems for both commercial and residential customers in Nassau and Suffolk County. For more information on how we can help improve the security of your home or business, please call our support staff at (516) 775-2304 (New York location) or (201) 594-7233 (New Jersey location). We offer FREE onsite security evaluations. Contact us today! Total Security is easily accessible to the following towns and cities in Western Suffolk and Nassau County: Huntington, Huntington Station, Centerport, Northport, East Northport, Melville, Commack, Deer Park, Wyandanch, Babylon, West Babylon, Lindenhurst, Islip, West Islip, Kings Park, Smithtown, Commack, Hauppauge, Bay Shore, Syosset, Hicksville, Levittown, Massapequa, Oyster Bay, Jericho, Plainview, Westbury, East Meadow, Hempstead, Wantagh, Merrick, Franklin Square, Valley Stream Freeport, Mineola, Manhasset, Great Neck, Port Washington, Cold Spring Harbor and all other areas in Nassau and Suffolk County, Long Island.